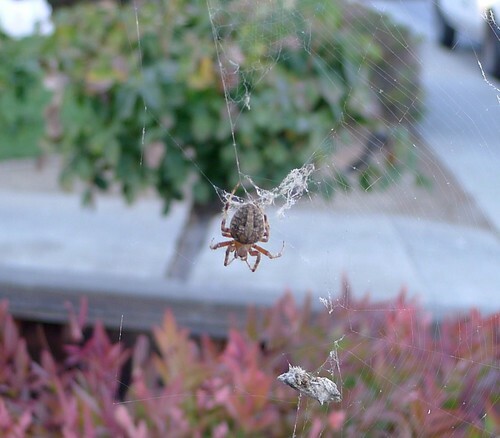 Walking through Willow Glen yesterday, I enjoyed seeing real and imagined Halloween in close proximity. 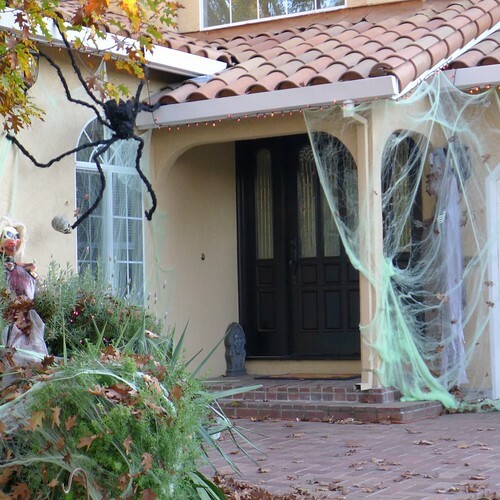 The yard in front of a house carefully draped with plastic cobwebs featured a real spiderweb as wide as my outstretched arms, with a huge spider in the center – much creepier-looking than the fake one tied to the gutter. 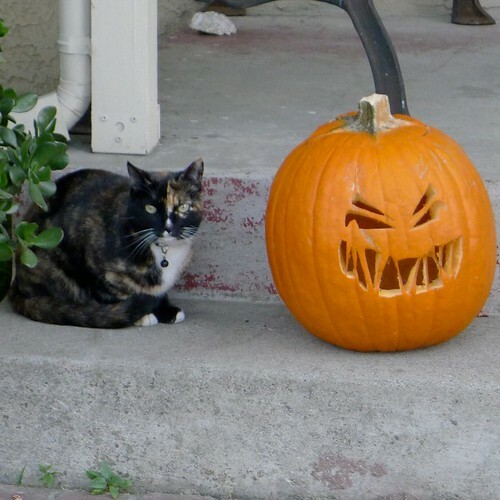 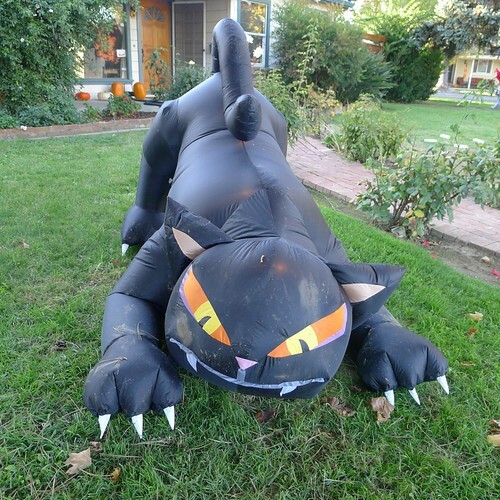 The inflated hellcat menacing the sidewalk was not so interesting as the green-eyed pet hanging out with a jack-o-lantern on the front step.